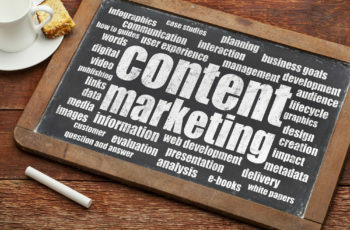 The focus of content marketing has been gaining importance over the years. And probably rightly so. The digital marketing scene today is heavily clogged up with advertising in every space possible. Consumers don’t engage as much as ad banners these days, regardless of how interactive they are. In simple terms, content marketing is where companies publish informative articles for their target audience and over time establish themselves as a reputable brand. These content are publically available for free, with the intention of gaining recognition through word of mouth over a period of time. Its like a salesman who constantly provides you with friendly advice but doesn’t push his products to you. But over time when you finally needs his service, he’ll probably be the first person you’d approach. Sometimes we’d like to think of content marketing as an art. You as a brand continuously provide valuable content to your customers and to a certain extent not knowing how long it would take a purchase to be made. The content that’s being published has to be of quality as well, otherwise you’ll risk tarnishing your brand. For a start without enough “signals” / data, you’re also not sure if the content is being consumed, or how are the readers reacting to the content. Is anyone really reading, and maybe bookmarking these published articles? In a way, content marketing is similar to SEO. When done right over time, you’ll start to reap rewards organically. Just like in SEO, you would have gotten a decent organic rank after a couple of a months of effort, and need not continue to pay marketing dollars for SEM. In the case of content marketing, you should have a sizeable readership base, and a list of people who has signed up for your newsletter. The main objective of content marketing is never sell something to the readers directly. Instead you’re supposed to give valuable information on the industry or topic that your target audience is interested in. This could be in a form of statistical information, a tutorial / how-to guide, etc. Your audience will notice that you are giving them valuable information and will start to follow you via social media platforms or by signing up to your newsletter. Sometimes these content would be shared with their friends over over discussion boards. So make sure you’re publishing quality content. Over time, your objective is to build a follower base on social media, and a readership base via a newsletter sign up. These would be come very valuable leads for your business in due time. As you publish more content on your website, search engines like Google will start noticing you. You’ll start to get listed on Google, though usually very far below in the search results. However over time when readers starts recommending your articles, there will be more backlinks to your website which will help improve Search Engine Rankings. Higher search engine rankings, would give public more confidence and trust in your brand. Afterall its by no means a small feat to get to the first page on Google. Customers and businesses would start reaching out to you to inquire about your services, and maybe partnership opportunities. As you continue to publish quality content, you will gain brand reputation. If any of your readers are in need of a service you provide, its almost a definitive 100% that they will turn to you to engage your services. Its also very likely that they wouldn’t spend time asking for quotations and comparing companies as in their minds its already fixed that you’re the most qualified company in the industry. Assuming you are an expert in your field, then publishing quality articles would probably be something really easy for you. Though it requires time and effort, but compared to SEM, Facebook, GDN and other forms of digital advertising, its almost zero cost. You’d probably spend about 1 – 2 hours a day to write a piece of article, and maybe spend a few dollars to push it out to a wider reach of people. An effective digital advertising campaign would easily cost $1,000 for a 2 – 3 week campaign duration. Its true that content marketing won’t bring you much results in the beginning, but you will certainly see growth in a mid and long-term period. Specialists in content marketing say that in few years of investing in, you could see even quadruple your money. Don’t get me wrong, spending money on ads, if done right, will pay off. But the you will need the same amount of investment if not more every year to get similar results, which is the opposite of content marketing. The fact is that content marketing is inexpensive, safe, and it will bring you benefits in different ways. If you still haven’t started investing in it, we urge you to start considering this strategy as soon as possible. The sooner you start, the sooner you will see the results. It doesn’t matter what your internet marketing goals are. It could be a online store, or a service you’re providing, content marketing is for everyone as it ultimately helps improve your brand reputation. Its a simple theory actually, produce high-quality content with useful tips in your niche, and your readers thank you by following you, recommending you and sharing your content. Once you are on that path, you only have to continue, nurture the relationship and respect your audience and they will respect you back.